The Father says today, be a partaker of the fresh bread of My truth. There are truths of My word that have been settled for millennia that will always strengthen and renew your spirit. There is also the PRESENT TRUTH revelation that is relevant, new and unheard of by previous generations that is being unveiled today to those open and willing to hear. I am in the process of unveiling to you new teaching, so spend that extra time in the word that makes the fresh manna apparent to you in relevant ways. With My word and the revealing of My Spirit comes a new endowment of power, and the understanding how My power is released in the current situation you find yourself in. You have asked the questions and now the answers are ready to be easily found out by those diligent to look into My word of old, with fresh eyes and fresh hunger. Truth heard the first time, particularly fresh revelatory truth, almost always brings a negative reaction. So prepare yourself for that and make it your determination to refuse to be caught up in what men think, or what the society of the unenlightened may pass judgment on. Truth is where you find it. The truth of My word will evidence itself in places religious mentalities will not go – for there is no hunger in them. Hear My voice, and agree with what I am confirming to you in the scripture. Come into agreement with My word and not what others insist My word says. They are ever learning, but never coming to the knowledge that changes their heart. Be one ready for a heart change. Be one prepared for radical change INWARD, and you will see the transformation OUTWARD as well, says the Father! Thank You my Lord! Your word is living water to my soul! 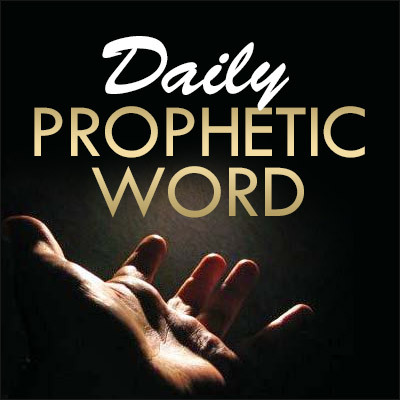 In relation to the prophetic Word For Today the Lord gave me the scriptures: Isaiah 52:13-15 and Daniel 5: 13-16. Psalm 81:10 and Matthew 5: 16 is also instructive. They all speak of new revelation that God gives to those who avail themselves and how it makes them stand out. I also dreamt last night of going to the supermarket and looking in the bread section for different types of fresh bread.